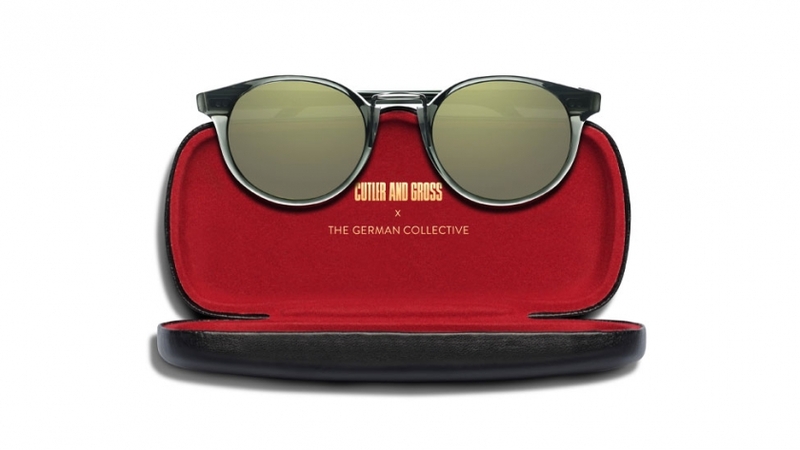 British luxury eyewear brand Cutler and Gross has collaborated with The German Collective, a group of five exclusive eyewear stores, to create a special edition pair of sunglasses. The iconic, unisex 1008 has been reimagined with a larger eye size and features a green gold flash base 2 lens. The frame features Cutler and Gross’ synonymous metal bridge in silver, which creates a clean and minimal construction, bridging together the acetate in a beautifully aesthetic manner. The special edition 1008 is handmade in Cutler and Gross’ dedicated factory in Italy. The collaboration is limited to 150 pieces and is available in The German Collective stores. Five friends, one vision: TGC unites glasses experts from Berlin, Hamburg, Munich, Heidelberg and Darmstadt, who have shared the same passion for style, detail-orientated design and authentic handicraft for years. In 2015 they decided to collaborate with international eyewear brands as one group and joined together to become The German Collective.